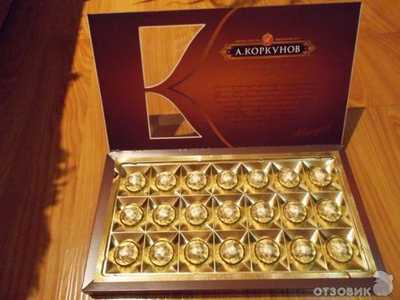 A.KORKUNOV® assortment of dark and/or milk chocolate candies. 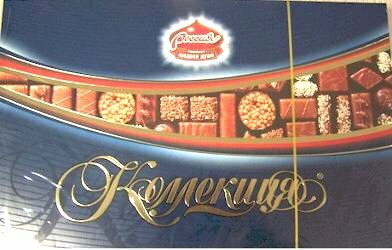 Filling: nut praline, whole and/or crushed Piedmont hazelnuts (Tonda Gentile Trilobata - finest hazelnuts from the Piedmont region of Italy). 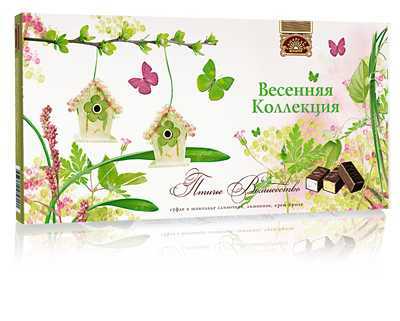 Original recipes are based on modern technology and the best traditions of Russian chocolate making. 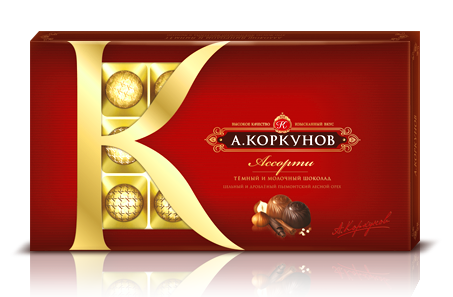 A.KORKUNOV® is one of the leading chocolate confectionery brands in Russia, and since launch A.KORKUNOV® brand has been positioned in the premium segment of the Russian chocolate market. 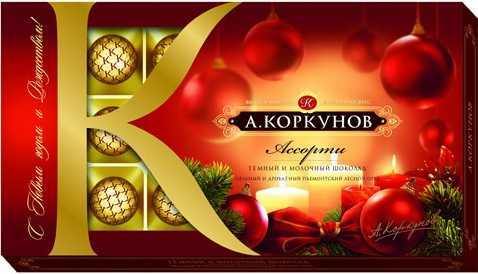 The packaging looks festive and expensive, aristocratic, elegant -- exquisite taste and packaging make this chocolate a fancy and unusual gift - a perfect item for all chocolate lovers! 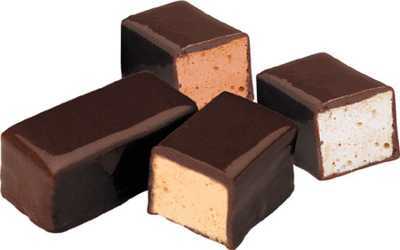 These chocolate-glazed, mousse-filled candies are a Russian classic, found at both holiday feasts and cafeteria lines. 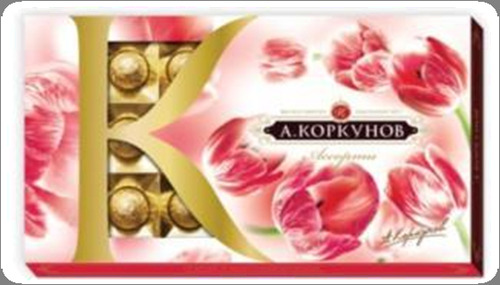 These premium candies refer to the soft, delicate and tasty insides. 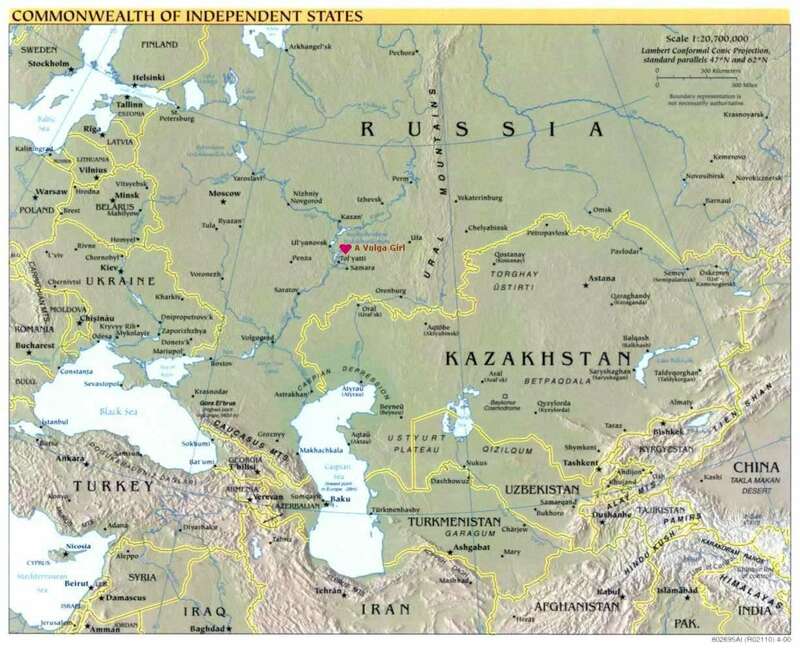 It also comes from a Slavic folk story, in which a princess presents her suitor with a test. 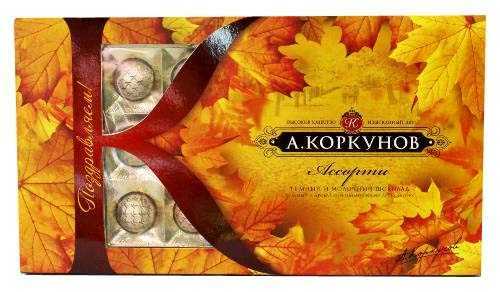 The test is to go out into the world and bring her the one thing that she doesn't have which implies that the favorite holiday candy is a luxury fit for royalty. 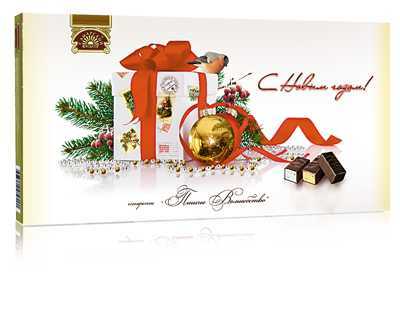 A box of the Rossia Collection chocolates is an excellent set of sweets made of dark chocolate of various forms and having different fillings.